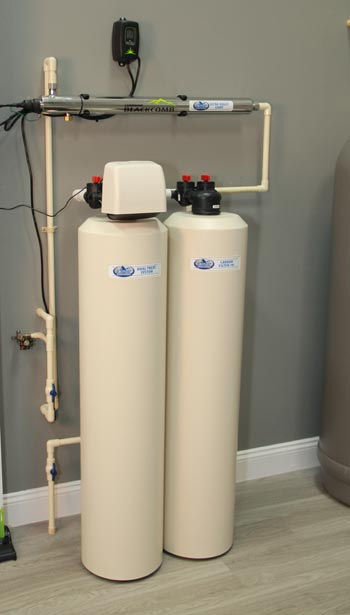 The ENVY™ Dual Treat Whole House System is a unique two-tank system requiring only one control valve to treat city water for your entire house. It provides treatment for; hard water, chlorine, odors, and organic chemicals. Our ENVY™ Dual Treat Whole House System includes our ENVY™ Series Valve which will backwash the carbon media & resin bed based on water quality and usage, not time, to reduce salt consumption and conserve on water. The ENVY™ Dual Treat Whole House System is ideal for city water applications; where hard water is an issue and chlorine taste and odor removal is desired.